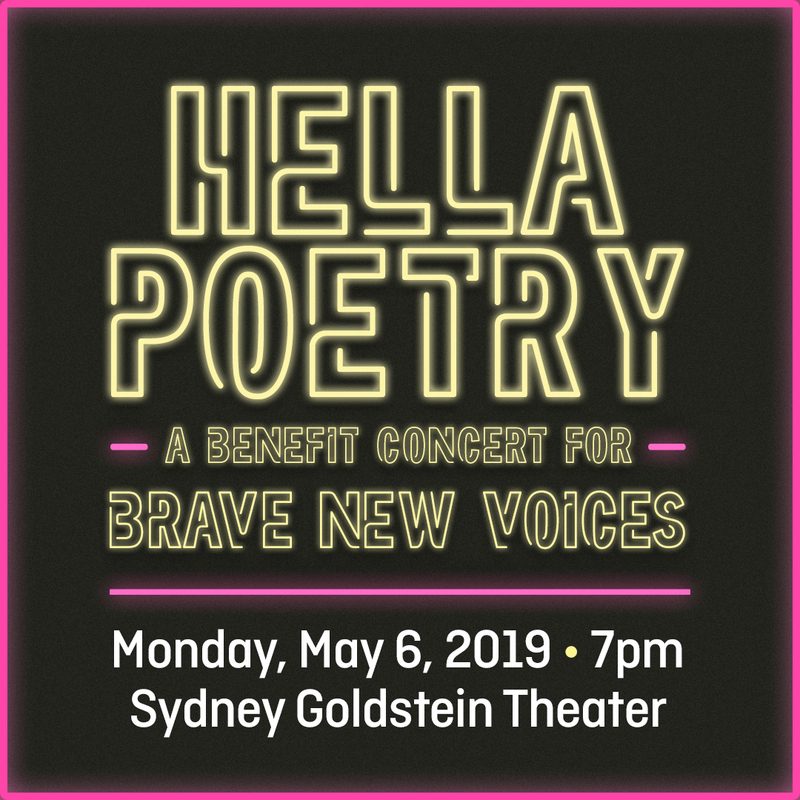 On Monday, May 6th, supporters, friends, family, fans, community partners, and more are invited to show their support for the work of Youth Speaks and Brave New Voices International Youth Poetry Slam Festival at San Francisco’s Sydney Goldstein Theater. This event is all ages and wheelchair accessible. “Hella Poetry“, produced with support from City Arts & Lectures features distinguished Alumni of Brave New Voices including Shannon Matesky, Dahlak Brathwaite, George Watsky, Carvens Lissaint, Janae Johnson, Michelle “Mush” Lee, Jose Vadi, Gretchen Caraval, Sarah O’Neal, EJ Walls, Natasha Huey, Gabriel Cortez, the youth poets of the Bay Area BNV Team and DJ’s Dion Decibels & Trey Amos. Brave New Voices Festival Directors, Brandon Santiago and Tish Jones will serve as the evening’s Emcees.